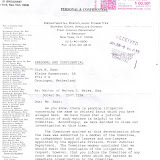 APPEAL by Christine Svenningsen and SEPARATE APPEAL by Elisabeth Anne Svenningsen, Jan Anders Svenningsen, and Christina Svenningsen, individually and as virtual representatives of Melissa Anne Svenningsen and Sara Elvera Svenningsen, in a probate proceeding in which Maryann Campbell and Fred Cass, as the adoptive parents of Emily Fuqui Svenningsen, petitioned to compel Christine Svenningsen to render an account as the executor of the decedent's estate, and separately petitioned to compel Christine Svenningsen and Fanny Warren to account as the cotrustees of a testamentary trust created under the decedent's will and as cotrustees of the Svenningsen Family Irrevocable Trust Number One, from an order of the Surrogate's Court (Anthony A. Scarpino, Jr., S.), dated October 6, 2010, and entered in Westchester County, which, in effect, granted the petitioners' motion for summary judgment on the petition to compel Christine Svenningsen to account as the executor of the decedent's estate and denied the motion of Christine Svenningsen, joined by Elisabeth Anne Svenningsen, Jan Anders Svenningsen, and Christina Svenningsen, individually and as virtual representatives of Melissa Anne Svenningsen and Sara Elvera Svenningsen, for summary judgment dismissing that petition, and ADDITIONAL APPEALS by Christine Svenningsen and Fanny Warren, and by Elisabeth Anne Svenningsen, Jan Anders Svenningsen, and Christina Svenningsen, individually and as virtual representatives of Melissa Anne Svenningsen and Sara Elvera Svenningsen, from two orders of the same court, also dated October 6, 2010, which, in effect, granted the petitioners' motions for summary judgment on the petitions to compel Christine Svenningsen and Fanny Warren to account as the cotrustees of the testamentary trust created under the decedent's will and as cotrustees of the Svenningsen Family Irrevocable Trust Number One, and denied the motions of Christine Svenningsen and Fanny Warren, joined by Elisabeth Anne Svenningsen, Jan Anders Svenningsen, and Christina Svenningsen, individually and as virtual representatives of Melissa Anne Svenningsen and Sara Elvera Svenningsen, for summary judgment dismissing those petitions. 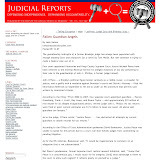 By three decisions and orders on motion, all dated December 15, 2010, this Court stayed all proceedings in the above-entitled matter pending hearing and determination of the appeals. 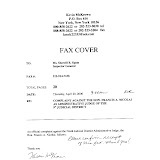 Cahill Gordon & Reindel, LLP, New York, N.Y. (David G. Januszewski and Joan Murtagh Frankel of counsel), for appellants Fanny Warren and Christine Svenningsen; and Wiggin and Dana, LLP, New York (Robert W. Benjamin, Steven B. Malech, and Kim E. Rinehart of counsel), for appellants Elisabeth Anne [*2]Svenningsen, Jon Anders Svenningsen, and Christina Svenningsen, individually and as virtual representatives of Melissa Anne Svenningsen and Sara Elvera Svenningsen (one brief filed). 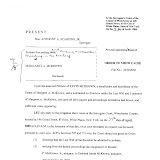 Bertine, Hufnagel, Headley, Zeltner, Drummond & Dohn, LLP, Scarsdale, N.Y. (Stephen Hochhauser of counsel), for petitioners-respondents. 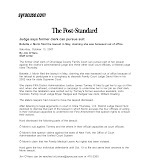 Carton & Rosoff, P.C., White Plains, N.Y. (Robin D. Carton of counsel), attorney for the child, the respondent Emily Fuqui Svenningsen. 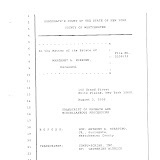 AUSTIN, J.These consolidated appeals present a case of first impression regarding the rights and interests of an adopted child in irrevocable trusts and the estate of her first adoptive father, whose surviving spouse surrendered the child for a second adoption to the petitioners eight years after the first adoptive father's death and the admission of his will to probate. In March 1996, the decedent, John Svenningsen (hereinafter the decedent), was diagnosed with cancer while he and his wife, Christine Svenningsen (hereinafter Christine), were in the process of adopting a child from China. As the decedent remained in New York undergoing treatment for cancer, Christine traveled to China to complete their adoption of an infant born on July 7, 1995, whom they later named Emily. 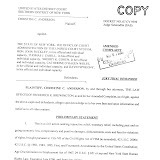 The decedent and Christine entered into an "Agreement for Parties to an Adoption Registration" (hereinafter the adoption agreement), dated May 6, 1996, pursuant to which they guaranteed, inter alia, that they would not abandon Emily or "transfer or have [her] re-adopted," and that they would "deem [Emily] a biological child." Further, the adoption agreement provided that Emily had the right to inherit the estate of the decedent and Christine. A certificate of adoption reflecting the adoption of Emily by the decedent and Christine was issued on May 8, 1996, by the Hubei Province of the People's Republic of China. Christine returned to New York with Emily, and a written announcement was made acknowledging the adoption of Emily on May 8, 1996, by the decedent and Christine. Additional proceedings were commenced by the decedent and Christine in New York to re-adopt Emily so that she could be issued a U.S. birth certificate and obtain a U.S. passport. 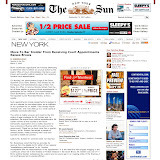 The Family Court, Westchester County, eventually issued an order of re-adoption to Christine subsequent to the decedent's death. The decedent and Christine had four biological children at the time of commencement of the adoption proceedings. Their fifth biological child, Sara, was born subsequent to their application to adopt a child from China but prior to the finalization of Emily's adoption. "Pay[ing] or apply[ing] to or for the benefit of the Beneficiaries . . . so much or all of the net income and so much or all of the principal of this Trust Fund as the Independent Trustee, in her sole and absolute discretion, shall from time to time deem advisable, without any requirement that Trustees make any payments to the Beneficiaries in any trust year or make payments to said Beneficiaries in equal shares." The second irrevocable family trust, entitled the "Svenningsen Family Irrevocable Trusts" (hereinafter the 1996 Trust) was created on October 29, 1996, for the benefit of the decedent's six children. The decedent and Warren were the trustees of the 1996 Trust. The 1996 Trust established six equal and separate irrevocable trusts, one for each of the decedent's children. Each of the decedent's children, including Emily, was expressly named as a beneficiary in the 1996 Trust. The 1996 Trust identified Emily as the sole beneficiary of her separate irrevocable trust, denominated as "The Emily Fuqui Svenningsen Trust." The decedent also executed a last will and testament on March 17, 1997. The decedent appointed Christine and Warren as cotrustees of the testamentary trusts created under his will. 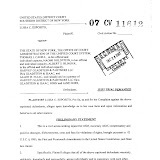 After providing for Christine to inherit his personal property, real property located in Connecticut and California, and $10,000,000, the decedent's will stated under Article THIRD(D) that if Christine survived him, he gave to his "then living issue, per stirpes . 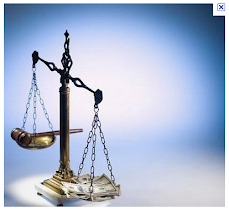 . . a sum equal to the largest amount that can pass free of Federal estate tax." This credit shelter trust was subject to the provisions of the EIGHTH Article of the will. 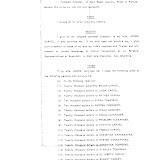 The EIGHTH Article provided that any assets distributable under the credit shelter trust, the residuary estate, or any terminating trust established under the will payable "to any child of mine" shall be paid to the child if such child attained the age of 40 at the date of distribution. If any child had not reached the age of 40 by the date of distribution, the funds would be held in trust, with one-third payable outright if the child had reached the age of 30 at the time of distribution, or two-thirds if the child had reached the age of 35. The balance of such share, or the entire share if the child had not attained 30 years of age at the time of distribution, would be held in trust for the child's benefit. Pursuant to Article EIGHTH(D), one-third of the share would be distributed when the child reached age 30, half of the remaining balance distributed when the child reached 35, and the remainder distributed and the trust terminated when the child reached the age of 40. The FOURTH Article of the decedent's will established a separate trust with respect to his residuary estate, which was to be held in trust for the benefit of Christine. This was referred to as one of the marital trusts established under the decedent's will. The subject marital trust (hereinafter the Marital Trust) was to be funded upon Christine's death for the benefit of the decedent's "then living issue, per stirpes" with the remaining principal of this Trust, while any undistributed income of this Trust was to be paid to Christine's estate. The trustees had sole and absolute discretion to pay or apply the principal for Christine's benefit, including the whole thereof, and stated that the interests of the remainder persons were subordinate to the trustees' exercise of discretion. The decedent noted that it was his intention that Christine "continue to maintain the standard of living to which she was accustomed at the date of [his] death." 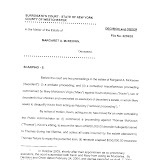 Subsection (B) of the TWENTIETH Article provided that the term "issue," as used in the decedent's will, "shall include children who have been legally adopted at the date of my death as well as children with respect to whom legal adoption proceedings had been commenced prior to the date of my death though not completed at the time of my death" (emphasis added). The decedent's will did not refer to any of the decedent's children by name. 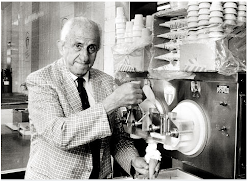 The decedent died on May 28, 1997. He was survived by Christine, his five biological children, and Emily. His will, which bequeathed his multimillion dollar estate to Christine and his children, was admitted to probate in July 1997 pursuant to a probate petition in which Christine, the nominated executor of the estate, identified Emily as one of the decedent's six children. In December 2003, more than seven years after the decedent and Christine had adopted Emily, and six years after the decedent's will had been admitted to probate, Christine brought Emily to a boarding school for children with special educational needs (hereinafter Emily's school). Christine's attorneys talked to administrators at Emily's school about Christine putting Emily up for adoption. At that time, Christine did not know of anyone willing to adopt Emily. 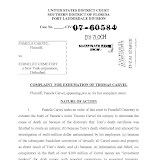 Meanwhile, the petitioner Maryann Campbell, the Assistant Executive Director of Emily's school, contacted Christine's attorneys about adopting Emily, since she and her husband, the petitioner Fred Cass (hereinafter together the petitioners), had bonded with Emily. On December 16, 2004, Christine voluntarily terminated her parental rights with the understanding that Emily would be adopted by the petitioners. Christine surrendered custody of Emily to Spence-Chapin Services to Families and Children. 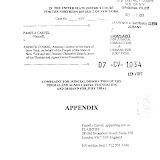 Thereafter, by order of the Family Court, New York County, dated May 18, 2006, the petitioners formally adopted Emily. The terms of the decedent's will and his inter vivos [*4]trusts were not disclosed to the petitioners during Emily's adoption by the petitioners. The petitioners eventually learned that the decedent had arranged for funds providing for Emily's educational and medical needs. However, they were never given any details regarding the amount of the funds available to Emily or to which she would eventually be entitled. 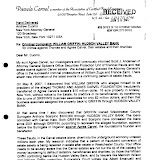 Instead, Christine's financial advisor wrote to the petitioners' attorney in November 2007, requesting the petitioners' consent to separate Emily's interests in the decedent's estate from those of the decedent's biological children through the creation of a spray trust. Included with that correspondence was a list of the estimated values of the assets held by the 1995 and 1996 Trusts prepared by managers of the assets. According to that list, Emily's interest in the 1995 and 1996 Trusts totaled $842,397. An accounting of the Trusts was not provided at that time. It was not until the petitioners examined the files of the Westchester County Surrogate's Court that they discovered that the federal estate tax return filed by the decedent's estate indicated that the value of the decedent's estate was in excess of $250,000,000. In this probate proceeding, the petitioners filed petitions as the guardians of Emily. 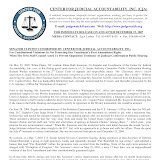 In the first petition, the petitioners sought to compel an accounting by Christine, as the executor of the decedent's estate, and in the second and third petitions, they sought to compel accountings by Christine and Warren (hereinafter together the movants), as the cotrustees of the Marital Trust and the 1995 Trust, respectively. 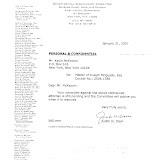 In their answers to the separate petitions, among their affirmative defenses, the movants alleged that the petitioners lacked standing to compel accountings of the 1995 Trust and Marital Trust, and that Emily's contingent interest in the Trusts was terminated upon her adoption by the petitioners. 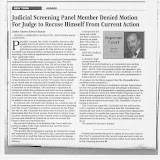 The petitioners moved for summary judgment on their petition to compel Christine to render an account as the executor of the decedent's estate, and their related petitions to compel the movants to account as the cotrustees of the Marital Trust and the 1995 Trust, on the ground, inter alia, that the decedent intended for Emily to be a beneficiary under both the 1995 Trust and his will. 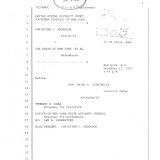 Christine moved for summary judgment dismissing the petition to compel her to account as the executor of the decedent's estate, and the movants jointly moved for summary judgment dismissing the petitions to compel their respective accounts as the cotrustees of the Marital Trust and the 1995 Trust [FN1]. The biological children joined in the motions. 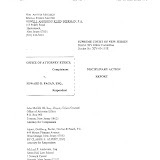 The movants argued, inter alia, that the petitioners lacked standing to obtain the requested relief because Emily's interest in the decedent's estate, and any dispositions created under the Marital Trust and the 1995 Trust, terminated on her adoption by the petitioners in 2006 pursuant to Domestic Relations Law (hereinafter DRL) § 117(2)(a). 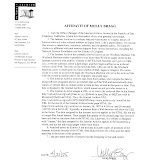 Further, they contended that, on May 17, 2001, Emily received, via a distribution to the 1996 Trust, the principal sum of $19,966.66, which was the principal sum of her vested bequest under the decedent's will, and interest in the sum of $3,821.21, which exceeded the correct amount of interest by $2,136.75. 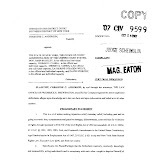 In three orders dated October 6, 2010, the Surrogate's Court granted the petitioners' motions for summary judgment on the petitions, denied Christine's motion and the movants' separate motions for summary judgment dismissing the respective petitions, directed Christine to account as executor of the decedent's estate, and directed the movants to account as cotrustees of the 1995 Trust and the Marital Trust. 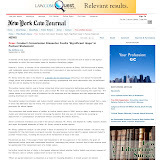 In its decision underlying those orders, the Surrogate's Court stated that "a review of the decedent's estate plan . . . [made] clear that he intended to provide equally for each of his children," which included Emily. Thus, in finding that Emily had fully assimilated into the Svenningsen family and was held out as a member of the family for years subsequent to the decedent's death, the Surrogate's Court determined that Emily was included in the class of beneficiaries under the Marital Trust and the 1995 Trust, despite the fact that she was not specifically named in either instrument. The Surrogate's Court found that "Emily's interests under decedent's will and the 1995 Trust fully vested subject only to the condition of her survival as provided under the instruments." Christine and the biological children separately appeal from the order, inter alia, directing Christine to account as executor of the decedent's estate. 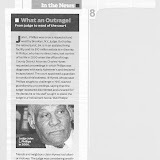 The movants and the biological children separately appeal from the orders, inter alia, directing the movants to account as cotrustees [*5]of the 1995 Trust and the Marital Trust. With respect to the Marital Trust, the appellants argue that the Surrogate's Court erred in determining that Emily's rights in the Marital Trust were fully vested at the time the petitioners adopted her, subject only to her surviving Christine. They contend that the express terms of the Marital Trust grant Emily a contingent interest which vests on Christine's death, and contingent upon principal remaining in the trust, and that the decedent's stated intention was for his children's contingent interests to be subordinate to Christine's interest. Further, the appellants argue that any unvested rights of an adopted-out child to inherit through the biological family are terminated pursuant to DRL § 117 in the absence of a contrary expression of intent by the decedent. 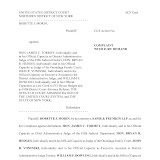 They claim that, since the disputed bequest did not include any of the statutory exceptions under DRL § 117, the "mere inclusion" of adopted children in the definition of "issue" under Article TWENTIETH was insufficient to find the decedent's express intent to include Emily in the class of beneficiaries. 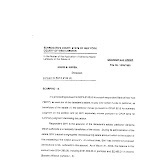 The appellants also assert that the Surrogate Court's determination contravenes the public policy expressed by the Court of Appeals in Matter of Best (66 NY2d 151, cert denied sub nom. 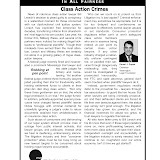 McCollum v Reid, 475 US 1083) regarding the inclusion of adopted-out children within the ambit of class gifts. 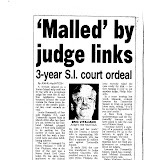 With respect to the 1995 Trust, the appellants argue that Emily's interest was not vested because it was not to be funded until the decedent's oldest child reached the age of 30, an event which had not yet occurred. They also maintain, as they did with respect to the interpretation of the decedent's will, that the use of the generic definition of children did not support a finding that the decedent intended to include Emily, an adopted-out child, in the class of beneficiaries. 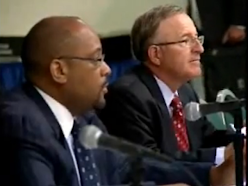 Based on these arguments that Emily had no interest in the trusts at issue, the appellants assert that Emily is not entitled to an accounting of the decedent's entire estate. 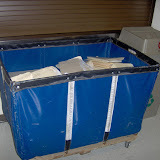 We affirm the orders appealed from. (1) Adopted children and their issue in their adoptive relationship. The rights of adopted children and their issue to receive a disposition under wills and lifetime instruments as a member of such class of persons based upon their birth relationship shall be governed by the provisions of [DRL § 117(2)]" id. ([emphasis added]). The "fundamental concept and policy of this State has been that adopted children stand equal with biological children within their adoptive families, with all incidental property rights" (Matter of Gardiner, 69 NY2d 66, 73; see Matter of Grupe, 222 AD2d 675, 676). Thus, EPTL 2-1.3(a)(1) grants adopted children the same rights as a biological child to an adoptive family's estate (see Matter of Grupe, 222 AD2d at 676). 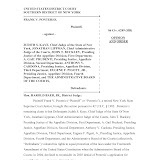 As the Surrogate's Court correctly observed, prior to the Court of Appeals' decision in Matter of Best (66 NY2d 151) and the subsequent amendments to DRL § 117 in 1986, the law was that, absent the express exclusion of an adopted child from sharing in a class gift of the birth family, he or she was included (see Matter of Bissel, 74 Misc 2d 330, 332). 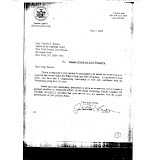 EPTL 2-1.3 was "intended to remove any existing inference that the testator or grantor did not intend to benefit adopted children where the instrument is silent by providing that class gifts are deemed to include adopted children" (2nd Rep of Temp St Comm on Estates, 1963 NY Legis Doc No. 19 at 13). Further, the intent of the Legislature in 1963 was to ensure that adopted children were "place[d] . . . for inheritance purposes in the bloodstream of his [or her] new family just as a [biological] child, and sever insofar as possible all connection with the natural family" with respect to inheritance (id. at 12). EPTL 2-1.3 was further amended in 1966 to provide that a child who is adopted out of a family could still inherit under an instrument created by a biological family member when specifically named as a beneficiary. However, it was left undetermined whether an adopted-out child [*6]could inherit from a biological relative as a member of a class. 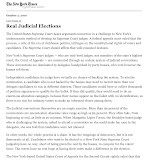 This ambiguity remained until Matter of Best (66 NY2d 151) and the 1986 amendments to DRL § 117. 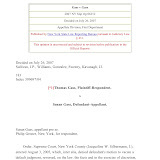 In Matter of Best, the Court of Appeals addressed the issue of whether an out-of-wedlock child who was adopted-out at birth and largely unknown to his biological family could inherit from his biological maternal grandmother (66 NY2d at 153). Although Matter of Best was decided before the amendment of DRL § 117 in 1986, it remains relevant for the policy considerations enunciated in support of termination of an adopted-out child's right of inheritance. 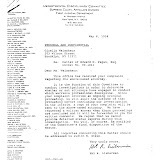 The maternal grandmother in Matter of Best provided a lifetime trust for her daughter's benefit, with the trust principal to be divided upon the daughter's death into equal shares for the daughter's "issue" (Matter of Best, 66 NY2d at 153). Upon the daughter's death, a construction proceeding was commenced to determine the right of the adopted-out grandchild to share in the gift to the daughter's issue (see id.). Although the Appellate Division affirmed the Surrogate's Court's determination that the grandchild was entitled to share in the estate, the Court of Appeals reversed, finding that, absent a contrary indication in the will, an adopted-out child is not entitled to share in a class gift to issue in the will of a biological relative (see id.). 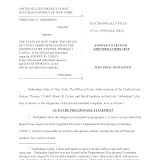 The Court of Appeals identified three policy considerations underlying its holding: (1) such an entitlement would be inconsistent with the complete assimilation of the adopted child into the adoptive family; (2) the confidentiality of adoption records should be protected so as to allow the adoptive relationship to flourish; and (3) the stability of property rights and other rights determined under decrees of the Surrogate's Court should be preserved (e.g., ensuring the finality of estates) (id. at 155-156). 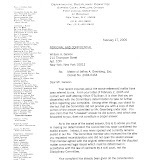 In response to the Matter of Best decision, the current version of DRL § 117 was enacted to establish that, upon the issuance of an adoption order, the right of adopted-out children to inheritance and succession with respect to their biological relatives terminates, rendering the adopted-out children and their issue "strangers to any birth relatives for the purpose of the interpretation and construction of a disposition in any instrument, whether executed before or after the order of adoption, which does not express a contrary intention or does not expressly include the individual by name or by some classification not based on a parent-child or family relationship" (DRL § 117[a] [emphasis added]). 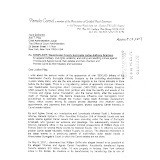 Although DRL § 117(2)(a) involves the relationship between adopted-out children and "birth relatives," it is nevertheless instructive in analyzing Emily's rights and interests in the trusts at issue because it preserves rights of inheritance expressly intended by the grantor (see Matter of Piel, 10 NY3d 163, 168). Thus, the right of an adopted-out child to be included as a member of a class gift is dependent upon the intent of the testator or settlor, as determined by an examination of the four corners of the trust instruments and the particular facts and circumstances of the matter, so as to protect an adopted-out child's right to inherit or take as a beneficiary when specifically identified in the instrument (see Matter of Piel, 10 NY3d at 168; Matter of Murphy, 6 NY3d 36; Matter of Lippincott, 141 Misc 2d 186). In the case at bar, the issues before us are whether the decedent expressly intended to include Emily as a beneficiary under the subject trusts and whether Emily's interest in those trusts vested prior to her being adopted by the petitioners. 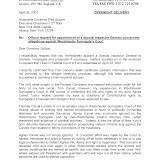 Turning first to the issue of whether Emily was an intended beneficiary, we note that a testator's intent "must be gleaned not from a single word or phrase but from a sympathetic reading of the will as an entirety and in view of all the facts and circumstances under which the provisions of the will were framed" (Matter of Fabbri, 2 NY2d 236, 240; see Matter of Piel, 10 NY3d 163; Matter of Claman, 31 Misc 3d 852, 856). In considering the surrounding circumstances (see Matter of Fabbri, 2 NY2d at 240), it cannot be overly emphasized that Christine's unilateral surrender of Emily for adoption more than eight years after the decedent and Christine adopted her was not foreseeable at the time the will and the trust documents were drafted and executed by the decedent. Emily is expressly named in the 1996 Trust, but is not mentioned specifically by name in the will's Marital Trust or the 1995 Trust. However, she is plainly referred to by status in both instruments. 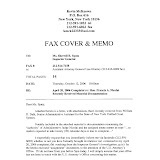 Article TWENTY-FIFTH of the 1995 Trust states that the term "issue" includes "any additional children born to or adopted by the Settlor after the creation of the Trust." Article TWENTIETH (B) of the decedent's will states that issue "shall include children who have been legally adopted at the date of my death as well as children with respect to whom legal adoption proceedings had been commenced though not completed at the time of my death." The decedent also employed the same language in the Marital Trust to identify his intended beneficiaries, as he did in a credit shelter trust also provided for in his will, as to which Emily's rights and interest were not disputed. Based upon the manner in which the subject instruments were prepared, it is highly improbable that the decedent [*7]would have anticipated that his wife would surrender Emily for re-adoption after his death. Thus, there was no reason for him to have included a provision addressing such a contingency in any of the instruments under consideration. Contrary to the appellants' contention, the inclusion of adopted children and children in the process of being adopted in the definition of "issue" under Article TWENTIETH (B) of the will for purposes of the Marital Trust should not be dismissed as mere surplusage (cf. Matter of Walker, 64 NY2d 354, 358). Similarly, the inclusion of "any additional children born to or adopted by the Settlor" after the creation of the 1995 Trust in the class of beneficiaries is relevant in determining the decedent's intention at the time of the creation of the various instruments. The policy considerations enunciated in Matter of Best are not contravened by giving effect to the decedent's intent to include his adopted daughter as a beneficiary of the subject trusts. Emily was the decedent's adoptive daughter at the time of his death, and remained a part of the Svenningsen family until she was eight years old. 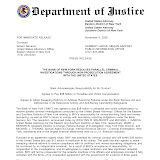 Under these circumstances, the first policy consideration, complete assimilation of the adoptive child into the adoptive family, would not be defeated by preserving Emily's right to share in the trusts created by the decedent for the benefit of his adoptive as well as biological children. The second policy consideration, preservation of the confidentiality of adoption records, is simply not implicated here because Emily knows of and is known to the Svenningsen family. The third policy consideration, stability of property rights, is also not present in this case because no property rights are jeopardized by implementing the decedent's estate plan as he originally conceived it. Turning to the issue of whether Emily's rights in the subject trusts vested prior to her second adoption by the petitioners, we note that, "even when a beneficial interest in a trust is subject to a condition precedent, that uncertainty is not enough to deny standing to the party who seeks to protect the trust property to which such interest relates" (Matter of Morse, 177 Misc 2d 43, 46; see Benjamin v Morgan Guar. 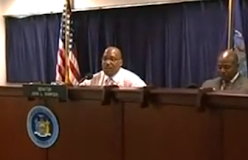 Trust Co. of N.Y., 163 AD2d 135, 137; Matter of Hunt, 84 App Div 159, 162-163, affd 17 Bedell 570). 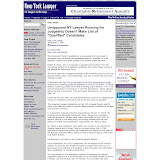 That is, while the rights of Emily and the other beneficiaries may be inchoate, they are, nevertheless, vested by their inclusion in the trust document. Thus, Emily's interests under the decedent's will and the 1995 Trust fully vested, subject only to the condition of her survival as provided for in the instruments (see e.g. 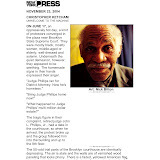 Healy v Empire Trust Co., 276 App Div 305, 309, affd 301 NY 620). 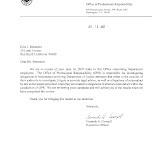 Surrogate's Court Procedure Act (hereinafter SCPA) 2205 provides that the court may require a fiduciary to file an intermediate or final account on the petition of, among others, "a person interested" (SCPA 2205[b]), which is defined by SCPA 103(39) as "[a]ny person entitled or allegedly entitled to share as beneficiary in the estate." Here, the petitioners established their prima facie entitlement to judgment as a matter of law by showing that Emily is "a person interested" in the decedent's estate (id.). In opposition, the movants did not raise a triable issue of fact. For the same reasons, the movants did not establish their prima facie entitlement to judgment as a matter of law dismissing the petitions. 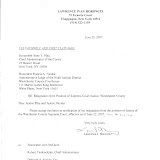 Thus, the Surrogate's Court properly granted the petitioners' motions for summary judgment on the petitions, denied the movants' motions for summary judgment dismissing the petitions, directed Christine to account as the executor of the decedent's estate, and directed the movants to account as cotrustees of the Marital Trust and the 1995 Trust (see Alvarez v Prospect Hosp., 68 NY2d 320, 324; Zuckerman v City of New York, 49 NY2d 557, 562). MASTRO, J. P., CHAMBERS and MILLER, JJ., concur. ORDERED that the orders are affirmed, with one bill of costs to the petitioners-respondents and the respondent, appearing separately and filing separate briefs, payable by the appellants personally. Footnote 1:. 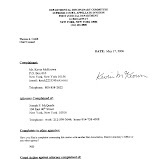 In her affidavit in support of the motions, Christine noted that the decedent and Warren were named as the trustees of the 1995 Trust and that Warren had acted as the sole trustee since the time of the decedent's death. Footnote 2:. We note that this is consistent with the adoption agreement wherein the decedent and Christine agreed, inter alia, that Emily would enjoy inheritance rights from her adoptive family. 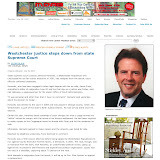 How can you do a story about Westchester corruption and NOT mention Frank Nicolai? That mutt still has his dirty fingers in everything. The real crime is how much Accetta is eating. Scarpino and his crew of criminals have been protected for so long that you have to look beyond court administrators and prosecutors to the real power behind their protection- organized crime. 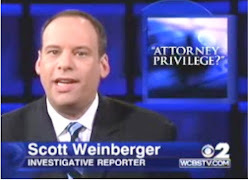 Involved lawyers have become careless because they can get away with it. 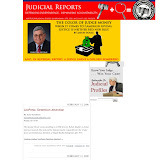 The almighty dollar rules and no one cares that there is evidence of crimes by court insiders and attorneys. Has Tony been dragged away in handcuffs yet? 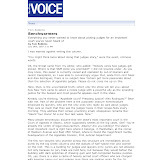 This article is good, but there is so much more that Tony (Baloney as he is known in the hood) has done. 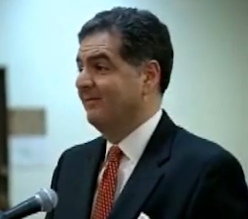 As a pround Jew I can not either forget nor forgive what he did to A. Marsh Lefkowitz (an Attorney acting Pro Se). These things should burn on his (Tony Baloney) head like a fire for the rest of his life!!! The only way to ever get these crooks out is for them to get old. However, it seems that there are plans in the works to get around this also. Can't take your eyes of these guys for a minute. 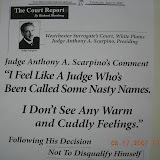 Judge Anthony (Stonewall) Scarpino has to be getting fat on his share of the all the legal fees that he is generating for his fellow Bar Members, this case was heavy duty in that department. Will he buy a place in the country? Scarpino should be behind a BIG STONE WALL, that's where he belongs for a long, long time. Who is Tony Scarpino's Godfather? Someone really needs to flush the toilet of corruption known as the Westchester Surrogate's Court and fumigate the area once and for all. Suffolk County's Grave Robber. 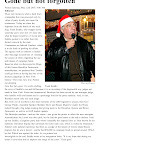 He goes by the name of Gary Weber Honorable of course. He looks the other way as peopke are being murdered and their estates stolen.CROOK! RICO!